Washington, D.C. – The Vietnam Veterans Memorial Fund (VVMF) is proud to announce a major milestone for its Wall of Faces program. There are now fewer than 2,000 photos needed to complete the effort to collect a photo for each name on The Wall. VVMF’s Wall of Faces aims to connect a face and a story to each of the more than 58,000 service members whose names are inscribed on The Wall in Washington, D.C. so that future generations will better understand the impact of the Vietnam War on American families. Each name represents a life cut short and a family changed forever by their loss. Putting a face to every name helps further preserve their legacies. The photos are displayed online in the Wall of Faces where each service member listed on The Wall has a personal page and loved ones and friends can leave remembrances. Photos are also displayed as part of a Hometown Heroes display at VVMF’s mobile exhibit, The Wall That Heals. Photos of service members from the local area are displayed at each stop for The Wall That Heals. The milestone was reached after the photo of U.S. Army Pfc. Charles H. Davis from Camden, New Jersey was submitted. Davis served with Company D, 2nd Battalion, 27th Infantry Regiment, 25th Infantry Division. He was killed on January 12, 1969 in the Hua Nghia province of Vietnam. This is the first photo to be submitted for Davis. Subsequently, the photo of U.S. Marine Corps Lance Cpl. Luis Ortiz-Corredor from Hoboken, New Jersey was submitted shortly after Davis and brought the missing photo total to 1,999. Ortiz made the ultimate sacrifice on September 21, 1967 in the Quang Tri province of Vietnam. VVMF thanks the hundreds of volunteers around the country who have been instrumental in locating these photos. Because of their tenacious effort, more than 56,000 photos of service members who sacrificed their lives in Vietnam have been found and posted to the Wall of Faces. To date, 34 states and U.S. territories have found every photo for their fallen. To see photos missing by state, visit: vvmf.org/state-photos. The Vietnam Veterans Memorial was dedicated in 1982 with a promise to never forget the service members who served and sacrificed in the Vietnam War. The Wall of Faces effort began in 2009. 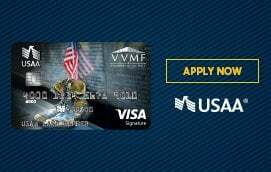 The Vietnam Veterans Memorial Fund (VVMF) is the nonprofit organization that founded the Vietnam Veterans Memorial (The Wall) in Washington, D.C. in 1982. VVMF continues to lead the way in paying tribute to our nation’s Vietnam veterans and their families. VVMF’s mission is to honor and preserve the legacy of service in America and educate all generations about the impact of the Vietnam War and era.